WATERDOWN, ONTARIO--(Marketwire - March 3, 2011) - Regulus Resources Inc. (TSX VENTURE:REG) is pleased to announce that a soil and talus sampling program has outlined a large area of anomalous gold mineralization to the northeast of the Rio Grande ring structure in Salta Province, Argentina. The Rio Grande Cu-Au-Ag project is a 50/50 joint venture between Regulus Resources Inc. ("Regulus", REG TSX.V) and Pachamama Resources Inc. ("Pachamama") with Regulus acting as the operator. 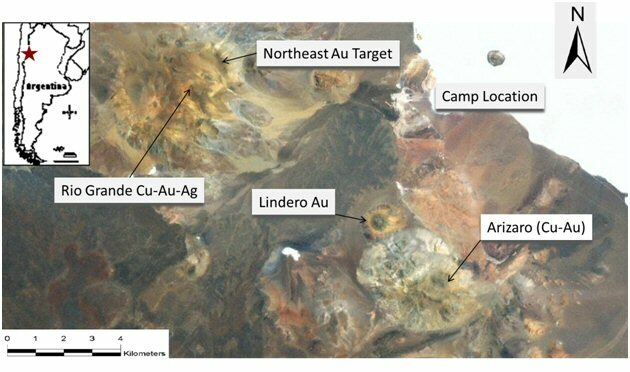 The Northeast gold target is located approximately 1,500 metres to the northeast of the main Discovery and Sofia zones on the Rio Grande Cu-Au-Ag porphyry project. The greater than 50 ppb gold in soil anomaly covers an area of 1,000 by 400 metres in an area of poorly exposed, strongly potassic altered intermediate igneous rocks with magnetite and quartz-magnetite stringers. The anomaly is open to the northeast and requires additional geochemical sample lines to better define the limit of the anomaly in this area. The alteration and mineralization is similar to the nearby 1.9 million ounce Lindero gold deposit owned by Mansfield Minerals. 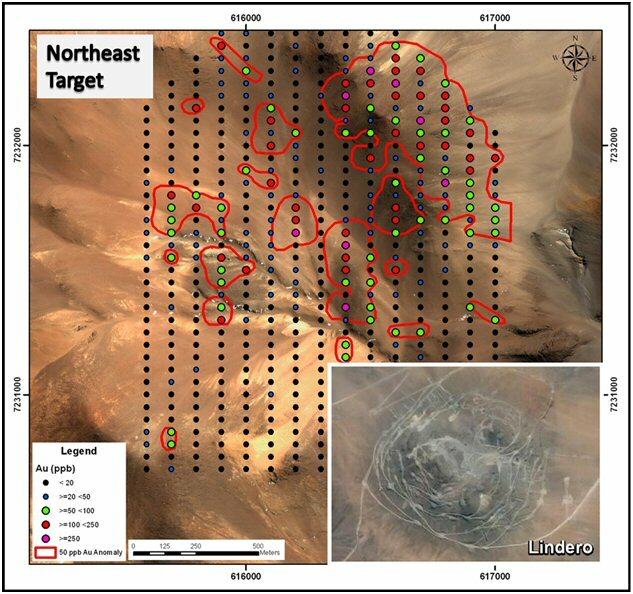 Figure 1 displays the location of the Northeast gold target and indicates the surface expression of the >50 ppb Au anomaly is comparable in size to the outline of Mansfield's 1.9 million ounce Lindero Gold deposit located 10 kilometres to the southeast. (Inset at lower right at the same scale). The gold geochemistry anomaly includes 95 of the samples returning over 50 ppb Au, 45 over 100 ppb Au and 15 over 200 ppb Au. The joint venture plans to initiate additional work on the Northeast Gold target in conjunction with re-starting the exploration program on the main Rio Grande Cu-Au-Ag project. Preliminary work would include extending the soil grid to the north and east as well as extending the existing ground magnetic geophysical survey to the east. The existing ground magnetic survey covered only the western portion of the new detailed soil grid. Wayne Hewgill, President/CEO states: "The presence of a large gold in soil anomaly 1,500 metres from the eastern edge of the main Discovery and Sofia zones on the Rio Grande Cu-Au-Ag project highlights the importance of the structural environment and subsequent mineral endowment in the Rio Grande area. With three known copper-gold and gold projects along the northwest-trending Archibarca regional structural lineament in the Rio Grande area: the Regulus/Pachamama Rio Grande project, and Mansfield's Lindero and Arizaro projects, we believe the Rio Grande project is situated within a structural environment with the potential to host significant mineral deposits." Regulus Resources Inc. (REG TSX.V) is a mineral exploration company formed in December 2010 in connection with the sale of Antares Minerals Inc. to First Quantum Minerals Ltd. Regulus is currently exploring the Rio Grande Cu-Au-Ag porphyry project in Salta Province of NW Argentina on a 50/50 joint-venture basis with Pachamama Resources Ltd.
All of Regulus' exploration programs and pertinent disclosure of a technical or scientific nature are prepared by, or under the direct supervision of, Wayne Hewgill, P.Geo, and Regulus' President, who serves as the qualified person (QP) under the definitions of National Instrument 43-101. Regulus' security, chain of custody and quality control is described on their website and can be reviewed at: http://regulusresources.com/BestPractices/SamplingMethodologies. About this company Regulus Resources Inc.